The second series of three events is called The New Building Boom, and is focused on the challenges facing Tampa and the influence new development will have on the growth of the city in coming years. A number of the new developments that have made their way off the drawing boards and into reality. How are they changing our city’s landscape? What do you love? What is missing? We welcome your ideas on the challenges facing Tampa and the influence new development will have on the city in the coming years. What are the ways people are affected by development? What determines where changes take place? Let’s discuss how citizens can shape what happens. Can a city use development to attract new enterprises? Do traditional forms of development support new tech industries and young entrepreneurs? Come discuss the role of start-up culture in how we develop our cities. We have shifted the location for this series! 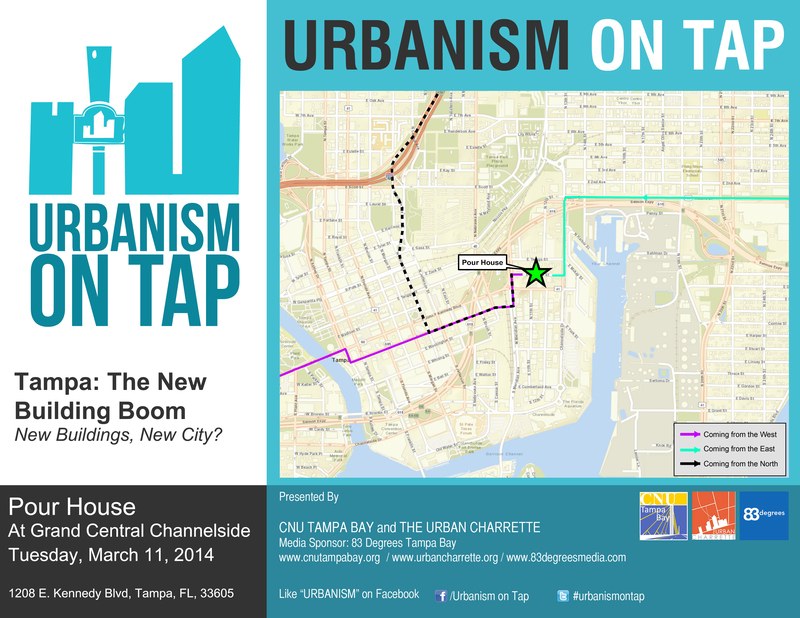 We will be hosting the event at Pour House in Channelside. Here is a quick map for different routes of how to arrive at the new destination. It is free parking for the first 2 hours in the garages above Pour House.